Well, the special shows for the holiday season are ramping up. We’ve got a jazzy Nutcracker, the White Christmas movie with a jazz vocalist and piano duo as well, the John Lennon tribute show, and Robby Vee’s Christmas show. Specials aside, there is simply plenty of music to be excited about, including the debut of a couple of exciting new jazz groups, and performances by proven artists. Jon Pemberton Trio @ The Red Stag, NE Minneapolis. 10pm. 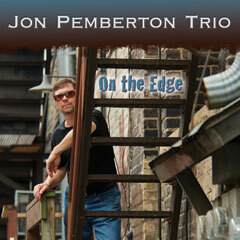 Pemberton is a triple threat musician, hailed as a trumpeter, pianist, and composer. He leads a couple of quintets, has played with diverse musicians, and released a critically acclaimed CD, “On the Edge,” in 2010. Tonight he’ll be joined by Gary Raynor, bass, and Jay Epstein, drums. A Jazz Nutcracker Suite & Holiday Swing Dance @ The Landmark Center, Saint Paul. 6pm – 10pm. ($25, Free to All Students) Saxophonist David Milne leads the Jazz Ensemble from UW – River Falls in a performance of the Ellington/Strayhorn version of Nutcracker Suite. Milne is a member of the JazZax Saxophone Quartet and Pete Whitman’s X-Tet, to which he’s contributed some terrific arrangements. He’s also Professor of Music and Chair of Music Programs at UW – River Falls. 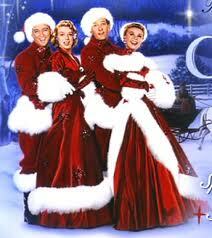 Nutcracker Suite will be performed at 7pm, followed by a swing dance, complete with lessons. Sounds like lots of fun, and hopefully could become a new tradition. Red Planet @ The Artists’ Quarter, Saint Paul. 9pm ($10) Dean Magraw, guitar, Chris Bates, bass, and Jay Epstein, drums, create music that swoops, glides, and often rocks. I suppose you could call it fusion, since it has the melodic surprise of jazz and the energy of rock, but thanks to the tasty rhythm section of Bates and Epstein, Red Planet swings. You can listen to them here. Nachito Herrera @ The Dakota, Minneapolis. 8pm ($15) Followed by Malamanya, 11pm ($5) Whether playing Rachmaninoff, Earth, Wind, & Fire, or the melodies of his home country Cuba, Herrera is a fire-wielding pianist whose technique is matched by his passion. He’ll be joined tonight by his daughter, Mirdalys, who is making her own name for herself. Afterwards, stick around for the acoustic sounds of Malamanya, who use Cuban son, salsa, and other Latin sounds to satisfy dancers. Teresa Manzalla @ The Hat Trick Lounge, Saint Paul. 9pm. ($5) Vocalist Manzalla singing jazz standards, accompanied by a guitarist. Perfect for the intimate Hat Trick listening room. Adam Meckler: Music for Large Ensembles @ O’Gara’s, Snelling & Selby, Saint Paul. 8pm ($5). This is an exciting new project, featuring some of the Twin Cities, hip younger talent. Adam Meckler is a fine trumpet player, and a regular with Pete Whitman’s X-Tet, the Jack Brass Band, and Todd Clouser’s Love Electric. U of M music educator Dean Sorenson will be directing, while the band will include the likes of Pete Hennig, Evan Montgomery, Bryan Nichols, Chris Bates, and Zack Lozier, Nelson Devereaus, Ben Doherty, Sten Johnson, Keith Hison, and others. Box Car @ The Dakota, Minneapolis. 7pm. Pianist and former Twin Citizen, now New Yorker, Jeremy Walker has pulled together a quartet of adventurous musicians in saxophonist Wessell “Warm Daddy” Anderson (NY): Anthony Cox, bass (Twin Cites/NY/Twin Cities): and JT Bates, drums (Twin Cities) to hit the road with original music. Tonight’s their debut, and well worth checking out. For further commentary on Twin Cities jazz, check out Jazz Ink, Jazz Police, and Bebopified, listed at right. For a comprehensive listing of Jazz in the Twin Cities, go to the KBEM calendar, here. 32nd Annual John Lennon Tribute Show @ First Avenue, Minneapolis. 9pm. ($15) Thirty-two years? How can it be so long? Don’t know which era of John Lennon Curtis A. will be channeling tonight, but this event is always fun. Also includes the release of the Minnesota Beatle Project, Vol 3, and openers Nona Marie & Her Choir, White Light Riot, and Me and My Arrow. The sound in this video from last year isn’t great, but gives you a good idea of what to expect. Doug Otto & the Getaways @ Mayslack’s Bar, NE Minneapolis. 9pm (free). Doug Otto has a voice that sounds as if he grew up in the Depression and traveled the country, looking for work. The Getaways provide a rootsy, sympathetic backing. Hipshaker @ The Kitty Kat Club, Dinkytown, Minneapolis. 9pm. If its the first Thursday of the month, that means a couple of hundred folks are getting out their dancing shoes to bop, swing, and shake that thing to the soul & funk 45s of the Hipshaker crew. This month they’re joined by genial record store owner Mark Trehus, of Treehouse Records, who’ll bring his collection of hip-shakin southern soul to the proceedings, I’m sure. Robby Vee’s Rock n’ Roll Christmas Show @ Withrow Ballroom, 2169 Keystone Ave. N., Hugo. 8pm ($15) Slick back your hair, get out those bowling shirts, put on your dancing shoes and prepare to go “Rockin’ Around the Christmas Tree.” This second generation rock n’ roller, son of Bobby Vee, has toured and played with many of the genre’s originals, earning praise from Carl Perkins, Dion, Ron Wood, and Robert Plant, among others. First Annual Lowertown Art Show w/Jeff Ray & Hurricane Harold and The Red Dog Band @ AZ Gallery and The Black Dog, Saint Paul. 7pm – 10pm. (No cover) Jeff & Harold are in the AZ Gallery and the Red Dog is in the Black Dog – apropo – no? Mojo Buford Benefit/Tribute @ Wilebski’s, Saint Paul. 2pm – 7pm. Though Buford has made the transition, tragically, he didn’t have enough money to pay funeral expenses. Hence, this benefit to help his family defray expenses and to pay tribute to the harp player who taught many Twin Cities musicians how to play the blues. Expect appearances from Curt Obeda, Willie Murphy, Dan Schwalbe, John Franken, Mick McCormick, Bill Black, “Hurricane” Harold Tremblay. Maurice Jaycox, and more…. Paul Mayasich & the RAMM Band @ Minnesota Music Cafe, Saint Paul. 8pm – 11pm (No Cover) Paul has a new Tuesday night residency at the MMC, giving city-dwellers a chance to hear his stellar guitar playing without going to the suburbs. For a more complete listing of blues in the Twin Cities, check out the Minnesota Blues Society calendar here. This entry was posted on Wednesday, December 7th, 2011 at 8:48 am and is filed under Weekly Preview. You can follow any responses to this entry through the RSS 2.0 feed. You can leave a response, or trackback from your own site.